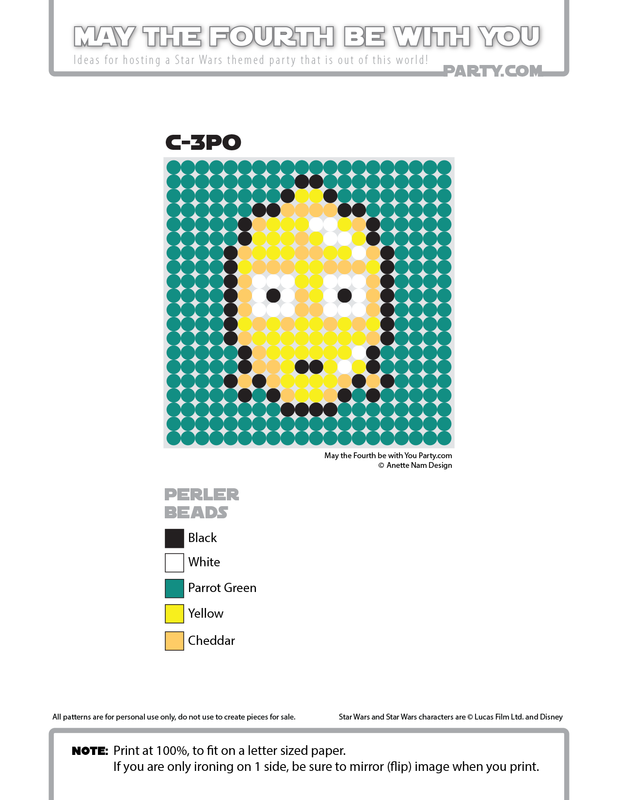 My daughter loved doing Perler bead patterns when she was younger. She could sit for hours. 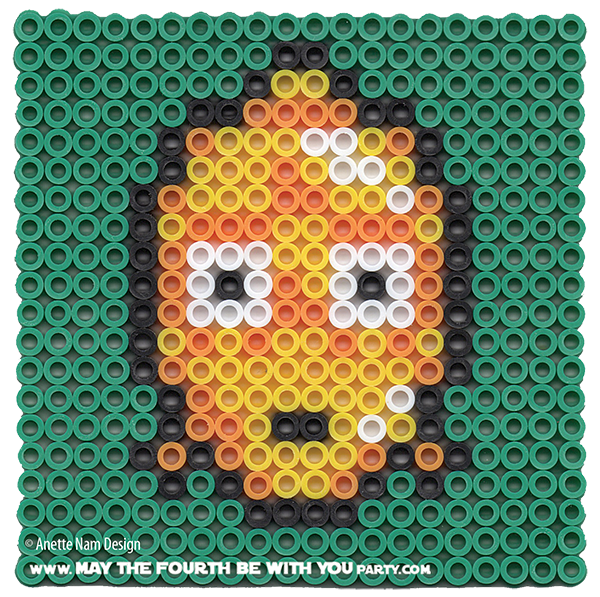 One day, as we were approaching M4P (our May the Fourth Party), we had the brilliant idea of making Perler Star Wars characters. After pondering it for a while, we figured making them into coasters would be perfect. We found a few patterns online, but decided it would be more fun to make our own. By now we have about 40 original designs and I plan on posting them all here. The designs would also work really well for cross-stitching, and I plan on adding floss and wool colors at a later date. + I think 1×1 Lego pieces would also be really fun to try (though the color palette is more limited with Legos). And one day I would love to make one as a stone or glass mosaic.